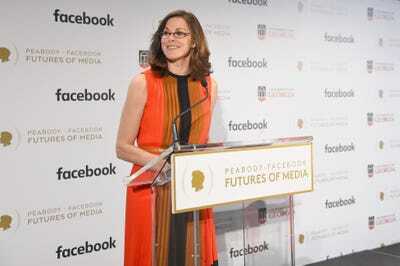 Facebook has denied a report that its head of news partnerships said Mark Zuckerberg doesn’t care about publishers. A report from The Australian alleged that Campbell Brown made the remarks in a recent off-the-record meeting with media executives. Facebook is strongly disputing a report that alleges its head of news partnerships Campbell Brown privately said that CEO Mark Zuckerberg doesn’t care about news publishers. Getty/Michael LoccisanoCampbell Brown speaks onstage at the Peabody-Facebook Futures Of Media Awards at Hotel Eventi on May 19, 2017 in New York City. Facebook and the media industry have had an increasingly strained relationship in recent years. The social network has grown to become a huge source of traffic for many publications, while also (alongside Google) gobbling up ever-larger shares of advertisers’ budgets. And in response to its recent scandals, the social network has cut back on the volume of news users see in favour of more personal content – further piling the pressure on struggling publishers. The Australian reports that there may be a recording of the meeting, though it is not yet public. 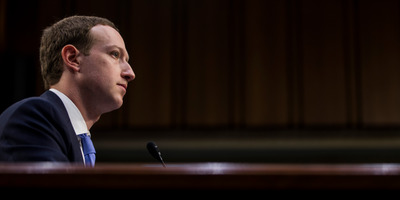 “When contacted about the comments … Facebook indicated the meeting was recorded, but declined to release a full recording of the meeting,” the article reads. The Australian’s media editor Darren Davidson, the writer of the article, did not immediately respond to Business Insider’s request for comment. Do you know what was said at the meeting? Got a tip? Contact this reporter via Signal or WhatsApp at +1 (650) 636-6268 using a non-work phone, email at [email protected], WeChat at robaeprice, or Twitter DM at @robaeprice. You can also contact Business Insider securely via SecureDrop.